It is Earth Day 2015. Earth Day is a day celebrated worldwide to demonstrate support for environmental protection. For most of us, Earth Day can be a day to reconsider common daily practices and habits in order to improve the environment. What habits can I improve? I'm committed to increasing what I recycle, riding my bike more and using less water. Anchorage did not make it easy to recycle. Our condo association had no recycling program, so the only way to recycle was to take the materials to the community recycling center = not easy and time consuming. Therefore, my recycling habits were dismal. However, our garbage collector in Chaska accepts recycling every other week. My goal is to have the recycling bin stuffed full by each recycling day. So far, I've done pretty well. Using less water - this is a new challenge for me. 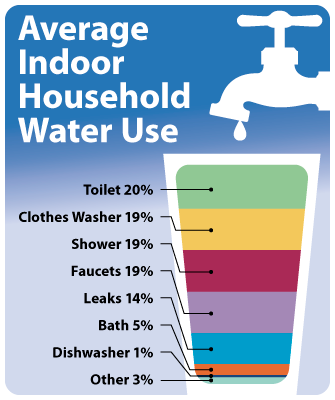 Nationally, the most water used indoors is for toilets, clothes washers and showers. As a renter, I can't do much about the toilets, but I can make changes to my personal routines. I'm used to washing dishes by hand because it's faster. I tend to wash my clothes quite regularly even when the loads are small. And long, hot showers?? One of my most favorite things!! However, in an effort to save water, my goal is to wash my dishes using the dishwasher only when it is full, not rinsing dishes before they go inside. Also, only washing clothes when I have a full load and taking shorter showers, which could get difficult when the temps start dropping again next fall. Many of these practices are easier said than done. But, simple changes become habitual over time and Earth Day is a good day to start! March has come and gone.